Rugby is among Kenya's most popular sports. The others being Football, Athletics and Basketball. The game has seen a sharp increase in its popularity over the last decade or so. The Kenya Rugby Football Union (KRFU) is the sports governing body in Kenya. It organizes several annual tournaments for local club teams such the Kenya cup, Super series, Eric Shirley shield , Enterprise cup as well as a local sevens circuit. 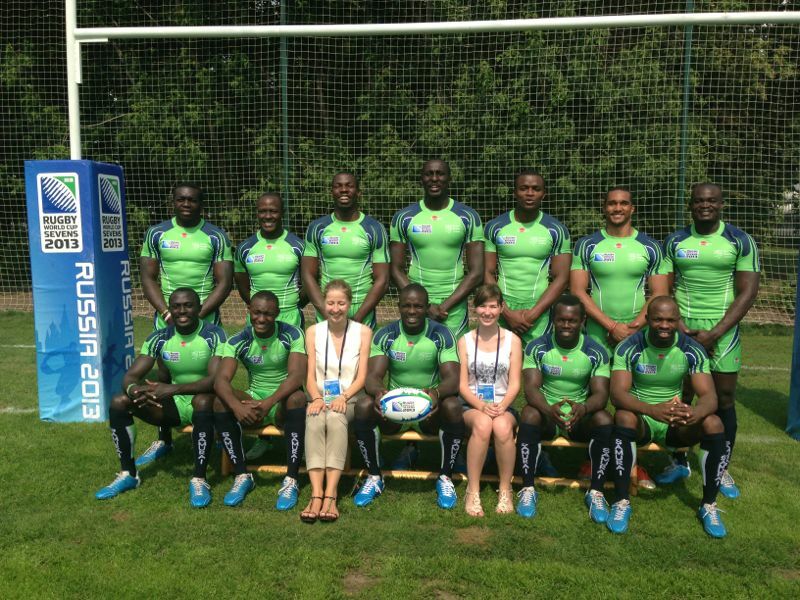 Also it organizes the Safari sevens which attracts participating teams from across Europe and Africa. The Kenya Cup is the tournament that features Kenya's top teams. It is played on a league system with the top two teams playing in the finals. , among them Impala, Mwamba, Harlequins, Nondescripts , Mean Machine, Nakuru RFC , Mombasa Sports club and Ulinzi. The Eric Shirley shield A is contested by second tier teams. The Eric Shirley B has teams based in Western and Nyanza provinces. There are also two University leagues. The top team from the Eric Shirley shield A is promoted to the Kenya cup. The Enterprise cup is played on a Knockout basis and is contested by teams from all over the country and a couple from Uganda. The Super series is a tournament organized along the same lines as the SANZAR super series. It features 4 franchises consisting of amalgamations of various teams based in Nairobi, A Franchise consisting of College and University teams , two Franchises from teams based outside Nairobi, Two from Uganda and occasionally the Tanzanian national team. Several one days tournaments are organized by individual clubs. These include The Impala floodlit tournament which has more of a party atmosphere than a Rugby atmosphere. It is hosted by Impala RFC. Other tournaments include the Rift Valley ten a side tournament hosted by Nakuru RFC and Driftwood sevens hosted by Mombasa Sports club. Kenya like other third world countries continues to lag light years behind the top Rugby playing Nations. This is mainly due to lack of structured youth development. The lack of a professional league is also a key hindrance because part time players cannot hope to attain the fitness levels of professional players. Neither can they spend as much time sharpening their skills. The advent of professionalism starting in 1995 has widened the gap between Nations like Kenya and the advanced Nations such as England. Lack of a professional league also means that several of the countries' most talented players quit playing early either immediately after high school or in their early twenties, due to lack of incentive. Kenya is however more adept at playing the sevens version of the game. Since 2004, Kenya has been a core member of the IRB sevens series. Kenya has also played in 3 successive sevens world cups and reached the semi finals of the 2009 sevens world cup. They repeated the feat again at the 2013 sevens world cup. Outside of Soutg Africa, Kenya is the best sevens team in Africa. 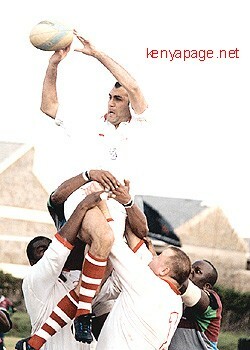 Mwamba was formed in 1978 as Kenya's first independent team for indigenous Kenyan's. The teams all black strip was deliberately selected to counter the all white strip worn by Nondescripts RFC. Mwamba soon became Kenya's most popular team and soon a rivalry developed between Nondies and Mwamba. 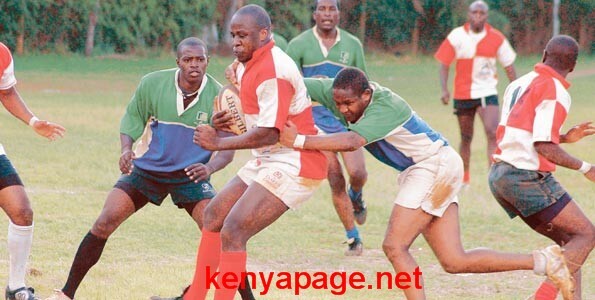 Mwamba was instrumental in the growth of the game in Kenya amongst Kenyans. It formed the backbone of Kenya's national team , among them Tom Oketch, Jimmy Owino, Arthur Kibisu, Andy Mwenesi and Pritt Nyandatt. The 2011 edition of Mwamba team has several national team players such as the free scoring Collins Injera, Humphrey Kayange and Horace Otieno and is well on its way to emulating the glory days of the 1980s. Mean Machine RFC which was founded in 1977 represents the University of Nairobi is arguably the most popular club team especially among the youth.It was also the first team formed by indigenous Kenyans. It is Kenya's richest rugby mine having produced several of Kenya's best players. The list includes Absalom Mutere , Joe Masiga, Danny Kimoro, Dave Sakari , Rowland Odipo, Martin Ndeda, the legendary Edward Rombo, Paul Murunga Sammy Khakame ,Shaka Kwatch, Tolbert Onyango, Steve Gichuki, Lucas Onyango and Wilson Kopondo, all of whom played key roles in the national team. Rombo is Kenya's greatest ever players. Machine has been amongst the top teams in Kenya since its formation. Starting in the teen years, the team fell on hard times as other teams move towards increasingly professional structures. 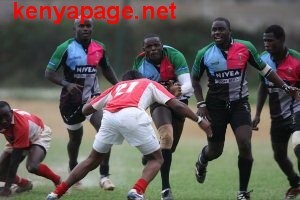 Mean Machine face off with Mwamba in a Kenya cup match. .
was formed in 1930 and is one of the oldest rugby clubs in Kenya. It was formed by ex-students of Prince of Wales school, now known as Nairobi school. Since its formation, it has been amongst the top teams in Kenya but most notably in the early 70s and in the early years of the new millenium. Was held formed in 1923 as Harlequins RFC after the Nairobu disctrict team split into two teams ( the other being Nondescripts). In 1953 it changed its name to Kenya Harlequins. The club motto "Nunquam Dormio" , Latin, for I never sleep. The club gained affiliation with London Harlequins in 1952. 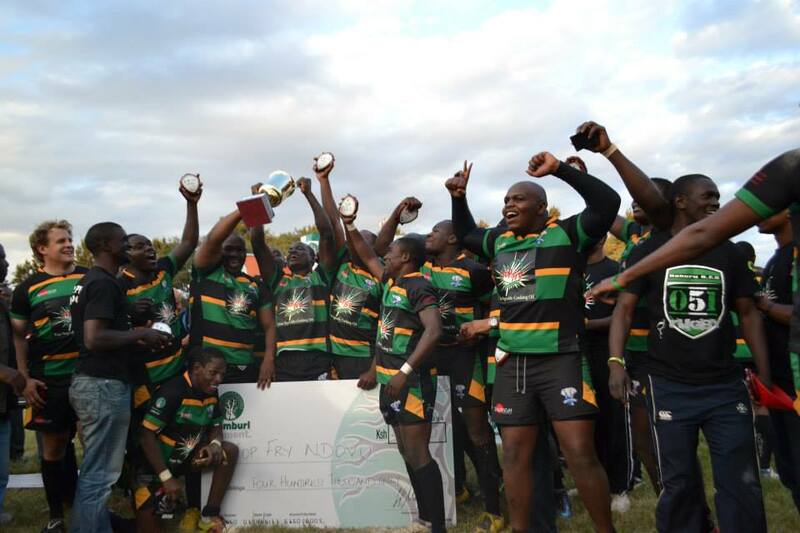 As of 2011, the club is experiencing a rich vein of success having won the Kenya cup twice in a row. 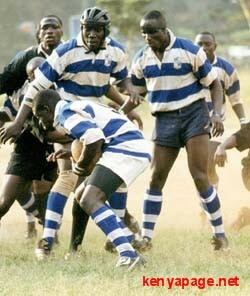 Was formed in 1923 and along with Kenya Harlequins, is the oldest club in Kenya. This club has won more tournaments in Kenya than any other. Its glory days were in the pre-Independence days when they provided most of the players who played for the East Africa Tuskers touring teams. There was also the glory days of the 1980s when Nondies boasted players like the Evans brothers Peter and Rod and their cousins Mike, David, Bruce and Cliff. There was also Martin Amoke, Dave Wallace, Johny Yakas, Mike Riley and Jack Coyne amongst others. Later the likes of Richard Coate, Francombe brothers David and Peter, Paul Kier and co. also proudly donned the white shirt. In recent years, more and more indigenous Kenyans have featured for Nondies such as Shaka Kwatch, Charles Cardovillis and more recently Biko Adema.